The Elvio Cogno Winery, situated on the top of Bricco Ravera, a hill near Novello in the Langhe region of Piedmont, is a favorite destination of mine when I am in the area. 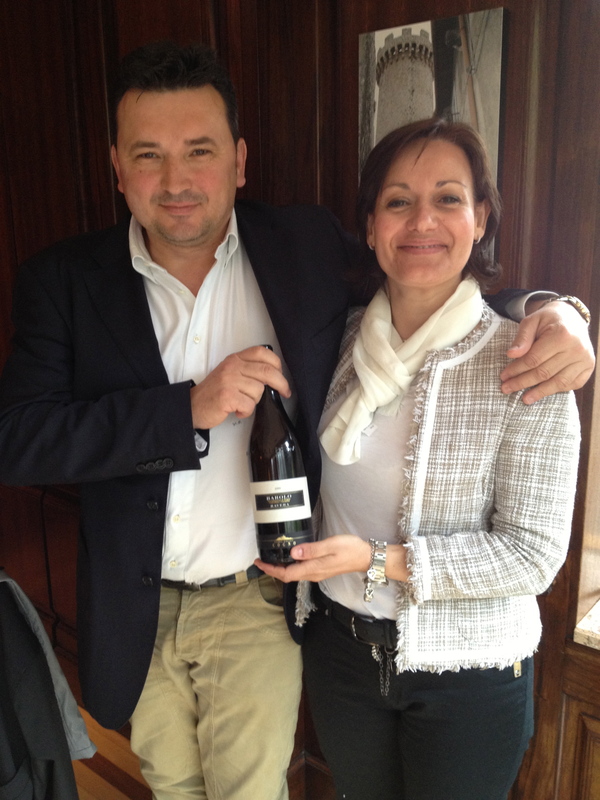 I visit there not only for the wines, but also because Valter Fissore and his wife Nadia are very gracious hosts. Nadia is the daughter of the legendary Elvio Cogno. Valter was in NYC recently and invited me to a tasting of his wines and lunch at Felidia restaurant. 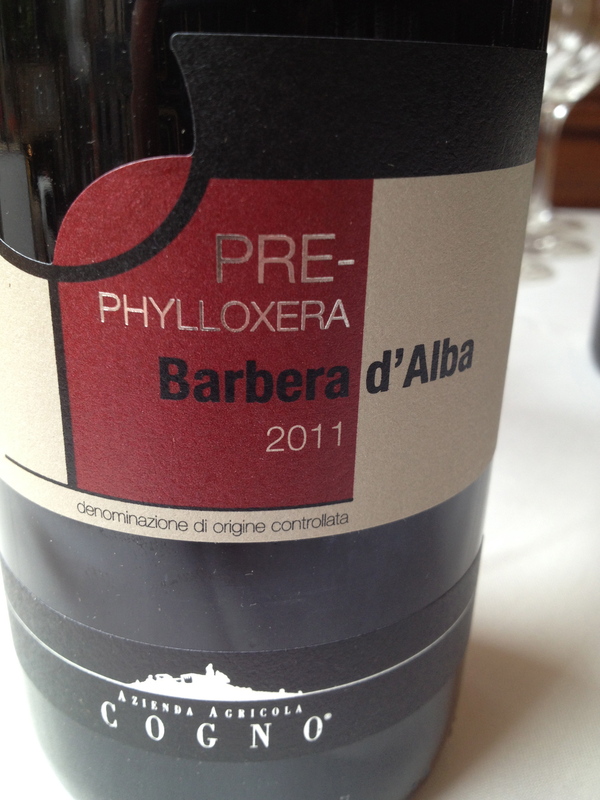 Barbera d’Alba “PRE-Phylloxera” DOC. Made from 100% Barbera. Valter said that the vineyard is over 120 years old. 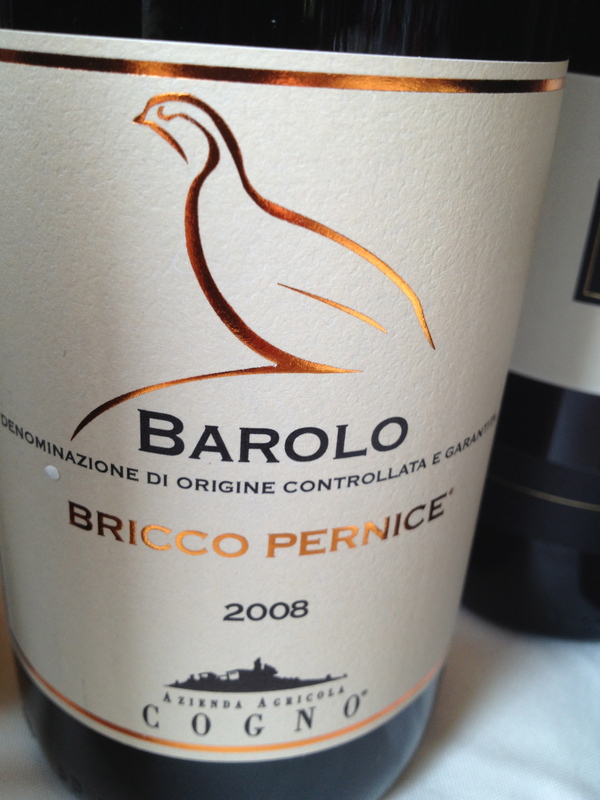 He rents the vineyard, which is situated in Berri close to La Morra. The vineyard is only 3,400 square meters. The vines are vertically trellised and Guyot pruned and the vineyard is at 520 meters. The grapes are harvested in the beginning of October. The wine is fermented in temperature controlled stainless steel tanks with automatic pump over. Aging takes place for 12 months in large Slavonia oak casks and another 6 months of bottle age before release. Only 1,800 bottles are produced. Valter explained that the vines come from pre-grafted plants propagated by cuttings that they have maintained over many years and therefore they have the original Barbera characteristics. The terrain is sandy-chalk, which is a natural protection for the vines from phylloxera. 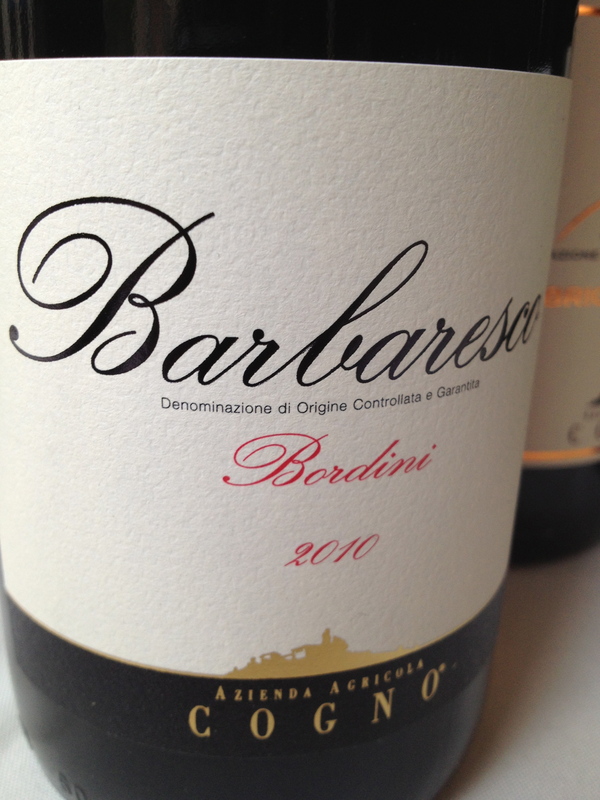 Barbaresco “Bordini” DOCG made from Lampia, a sub-variety of Nebbiolo. The vineyard is at 250 meters and the vine training is vertical trellised with Guyot pruning. The vineyard is in Neive. The harvest takes place at the end of September. Vinification is in temperature controlled stainless steel tanks with automatic pump over. The post-fermentation maceration is for 20 days with submerged cap. Valter spoke about the three main clones of Nebbiolo: Lampia, Michet and Rosè. He said that the nurseries in Italy were now producing vines that are a combination of all three, taking the best characteristics if each. They would be mostly Lampia with some Michet and a little Rosè. He also pointed out that because of natural pollenization, this may be happening in his own vineyards. 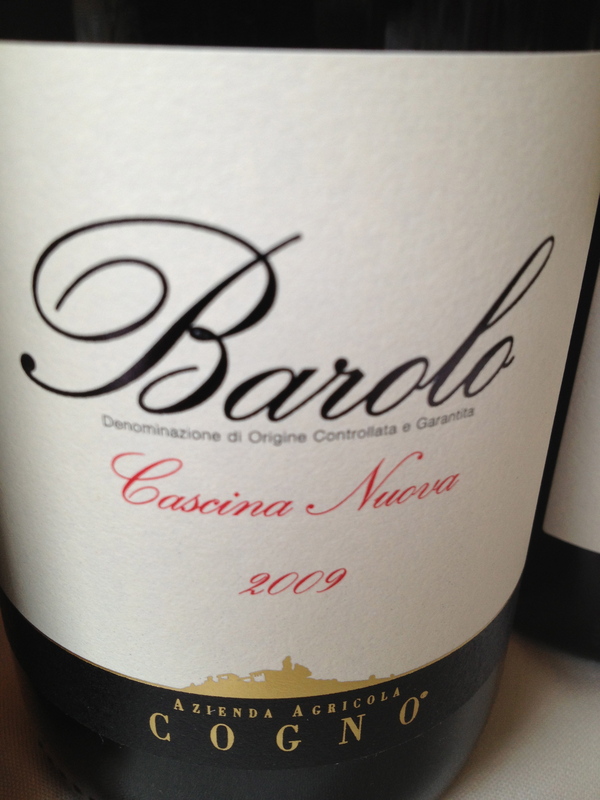 Barolo Cascina Nuova DOCG 100% Nebbiolo (Lampia & Michet) The vineyard is at 380 meters with a southern exposure. It is the youngest vineyard. There are 4,000 plants per hectare and the vines are vertical trellised with Guyot pruning. The harvest takes place in October. Vinification is in temperature controlled stainless steel tanks with automatic pumping over and a maceration of 30 to 40 days. The wine is aged in 40HL oak barrels for 2 years and in bottle for another 6 months before release. When it comes to Barbareso and Barolo Valter is a traditionalist. He feels that a long maceration makes the tannins softer and is necessary to make a complex wine with all the necessary aromas and flavors. He will only use botte grande. Barriques extract too much from the wood into the wine and he would not use them for Barolo or Barbaresco. 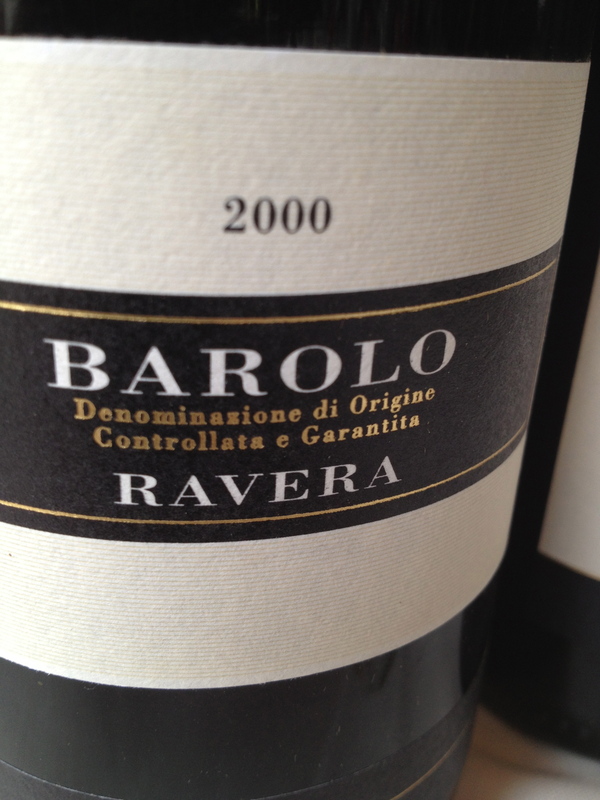 Barolo “Ravera” DOCG 2000. 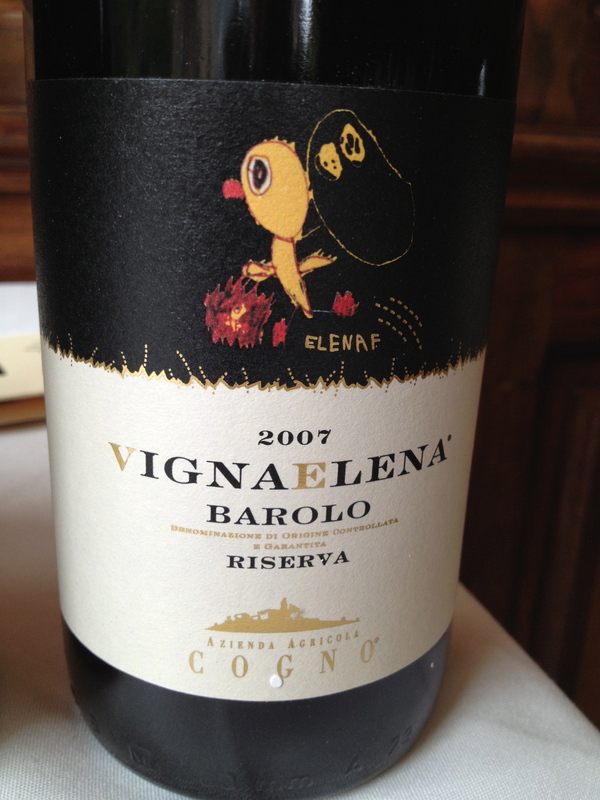 It is made from the Lampia and Michet, sub varieties of Nebbiolo. The vineyard is 380 feet meter above sea level, with 4,000 vines per hectare and faces southward. Fermentation in stainless steel temperature controlled tanks with automatic pump over, maceration for 30 days with submerged cap and on the lees for 90 days. 24 months of aging in 25/30HL Slovenian oak barrels and six months in bottle before it is released. He called Ravera the most important Cru in Novello and went on to say that the mostly calcareous soil (classic blue clay) of this vineyard adds elegance and structure to the wine, making it ideal for aging. 15,000 bottles produced. $N/A I had tasted this wine from the barrel when I visited the winery two years ago. The barrel sample was very Pinot Noir like but now it is pure Nebbiolo.